An evaluation report, by Ecorys, published today (June 18 2018) by the Department for Transport shows permit schemes – where companies apply to highways authorities to carry out works – help reduce the length of disruption from roadworks by more than 3 days. It also showed these scheme cut the number of overrunning roadworks. Permit schemes cover works on all local roads and can be complemented by lane rental, where utility companies are charged daily for digging up the busiest roads at peak times. Lane rental guidance will be issued later this year. Around 65% of authorities now have in place these schemes, which are making a real difference. The remaining 35% are being asked to introduce them so that their local communities can benefit from this positive impact on journeys. "Roadworks are the bane of drivers’ lives, causing delays and costing the UK economy £4.3 billion a year. "Permit schemes are proven to reduce the length of roadworks, allowing motorists to have fewer disrupted journeys and reducing the burden on businesses. "More councils should look at adopting permit schemes, as well as lane rental schemes in due course, to help drivers get to work and visit friends and family quickly and safely." Permit schemes, which were introduced in 2010, give councils more control over roadworks. 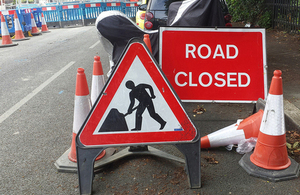 Local authorities can also add conditions to the roadworks, such as the time when works can start and end, limits on the number of days they can be in place and where equipment should be stored, to ensure disruption is kept to a minimum. Councils may charge a fee to cover the administration costs of permits. This follows the announcement of a national rollout of lane rental schemes later this year which will see companies charged up to £2,500 a day to carry out works on busy roads. Pilot lane rental schemes in London and Kent have seen congestion on the busiest roads drop, saving drivers time and boosting the economy. It also comes after Transport Secretary called on companies to carry out works on pavements, where possible, instead of under roads to avoid any disruption to motorists. More details will be revealed in due course.